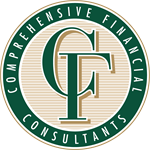 Comprehensive Financial Consultants is a full-service financial advisory firm providing individuals, families, and business owners with the support they need to be able to retire on time and on their terms. Together, we have over 150 years of industry experience. We dedicate everything we do to provide our clients with deep resources and support throughout their financial journey. To do so, we have compiled a team of industry professionals who all bring diverse capabilities and passions, in order to deliver the full support our clients seek and deserve. Through our collaborative partnerships—both internally and with our clients and their other trusted advisors—we can help put you on the right financial path to support your retirement, today and every day. To inspire the people we touch to do the right thing financially for themselves, their families, and their businesses. We want people to feel comfortable with the financial decisions they make. We will educate and communicate to our clients, giving them confidence in our abilities to serve them. We are an independent investment firm that brings deep resources and experience to every client relationship. We consider each person we serve as more than a client; you’re our partner and family. Our focus is on building community—from how we support clients to how we engage in the localities where we live and work. As soon as you start collaborating with us, we will put our full team and capabilities behind you to help you reach your retirement and financial goals. From our experiences, we have been battle tested and learned how to navigate the complex financial landscape with clarity and forethought for the future. In everything we do on your behalf, your financial wellbeing is our top priority. In addition, our independence means that we have no ties to any one company, service, or product. Meeting your goals is our sole focus. From your initial meeting with us to forming a lifelong relationship, we strive to provide you with sound, proactive answers. We remove roadblocks and open up the opportunities awaiting you.